It’s no accident we’re Austin’s favorite local moving company. From the first box you pack to the final one we set down in your new home, we want to be your partner throughout the whole process. We know moving can be one of the most stressful events in your life, and we don’t think that’s how it should be. With us, you’ll get the peace of mind that comes with a new, clean place to live. You don’t have to thank us. Just tell your friends! Just moving around the area? Don’t worry. Blue Whale Moving has the process of local relocation down to a science. We’ll plan out a route, and then help pack and transport your stuff into your new home smoothly — before you even have time to worry about it. We serve the greater Austin area, so if you’re moving from one part of Bat City to another, we’ve got you covered. We can also move you anywhere in the lower 48 states, to or from Austin. Your interstate move with Blue Whale will be handled by the same crew, in the same truck, in just a matter of days. We’ll help you plan and pack for your move so that when the long-awaited day arrives, you won’t have anything left to worry about. 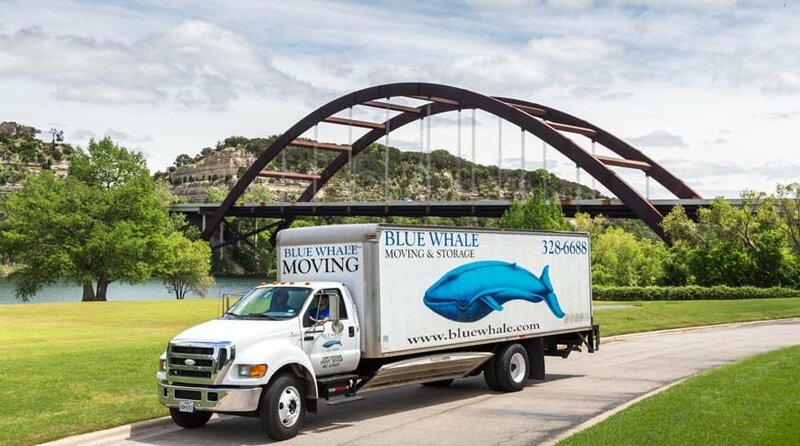 On your moving day, you can stop to relax and breathe with the kind of peace of mind that comes with knowing Blue Whale Moving has everything under control, whether you’re relocating within Austin or across the country. From beginning to end, we take pride in being a professional moving company with the ability to simplify the process of moving. We hire only the most professional Austin movers, and on your moving day, they’ll arrive on time and ready to work. We take great care with your belongings in moving them from one home to another. We can also move your office — and when we say full-service, we mean it! Just like with our residential moves, we can carefully relocate your entire company safely to your new office. Nothing increases productivity like a new environment. Let us make sure everything is moved unharmed, whether it’s printers and copiers, desks, chairs — or even the water cooler. Or, if you need more than a few days, Blue Whale has storage solutions for that, as well. Maybe you need some time to close the deal on a new home, or perhaps just a few days to get adjusted. Maybe you’re building a house and your current home sold more quickly than expected. (Congrats!) We’ll store your possessions for as long as you’d like, for a very affordable fee. Just give us the particulars of your timeline, and Blue Whale Moving will make your move to or from Austin go as smoothly as we possibly can.